The RFP below has been closed and no contract awarded due to a significant change in the Scope of Work. 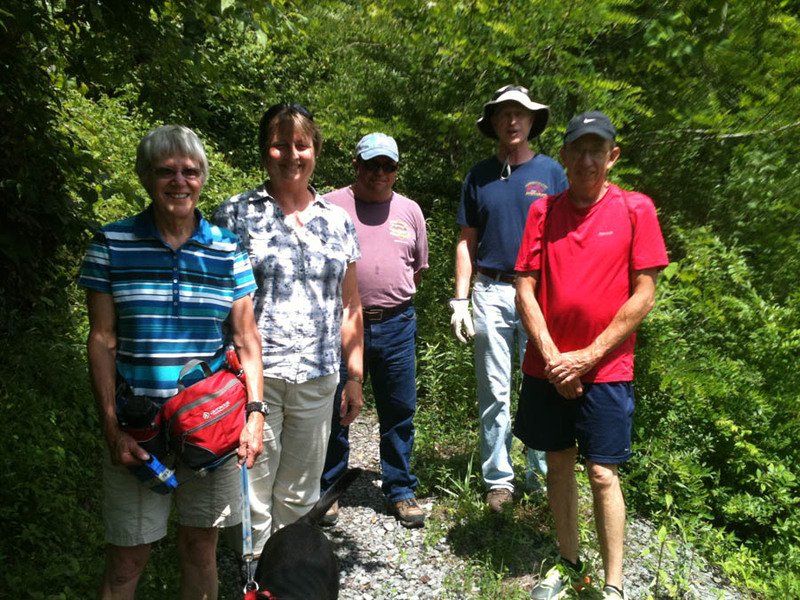 The Preston Rail Trail Committee of Friends of the Cheat, Preston County Parks and Recreation Commission, and the Starting Points Family Resource Network wishes to improve the land use of the West Virginia Northern Shops Property, located on Beverly and Sisler Street in Kingwood, WV. The site, once trail head of the Kingwood to Tunnelton tourist train in the late 1990s has since experienced overgrowth of vegetative species and the buildings on the property are in disrepair. These community organizations are developing resources, through volunteer service work-days and writing grants, to revitalize the site into a County-wide community green space. Community members are invited to visit the Shops Property to learn more about the development of the site, on April 13, 10 am to 3 pm in celebration of Earth Month. Activities will include tree planting, painting over graffitti, the removal of trash and collection of tires. PCPaRC is seeking a volunteer lawn mower to maintain the premises. In early 2012, Friends of the Cheat was awarded a $5,000 grant through the 2012 FOCUS WV Brownfields program to address barriers to the redevelopment of the former WV Northern/Kern Valley Railroad Maintenance Facility located within the town limits of Kingwood off Sisler Street. Painting of the WV Northern shops area by Kingwood native, Marcy Miller Matherne who has graciously donated this print for reproduction to be sold as a fundraiser for the Kingwood-Tunnelton rail-trail project. The Foundation for Overcoming Challenges and Utilizing Strengths (FOCUS) West Virginia Brownfields program funds were awarded to FOC by the West Virginia Brownfields Assistance Centers through funding from the Claude Worthington Benedum Foundation. 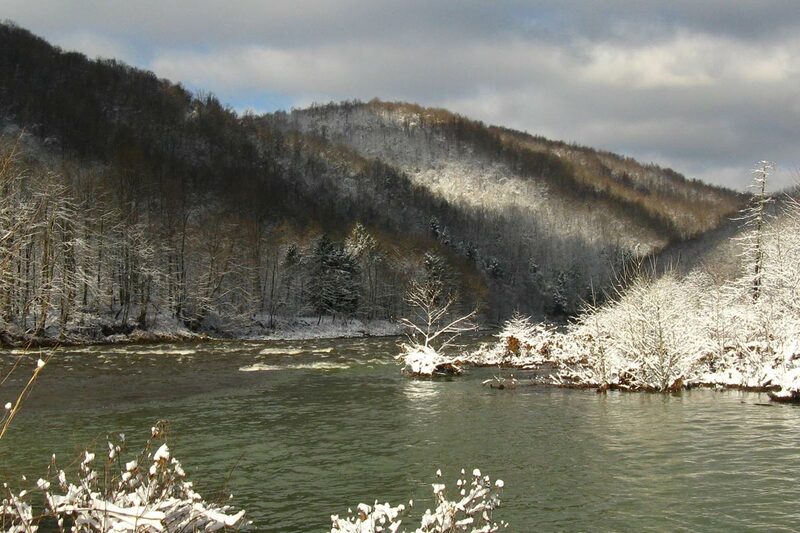 The program provides financial and technical assistance enabling communities in West Virginia to create a redevelopment vision for brownfield properties of strategic community interest. FOC’s Preston Rail-Trail Committee has been working for nearly 10 years to advance the development of the former West Virginian Northern Kingwood-Tunnelton corridor. The current owner, Kern Valley Railroad is a willing seller and, in 2007, committed to donating the maintenance facility property pending FOC’s purchase of the 10-mile corridor. 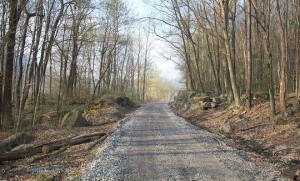 As part of their ARRA Brownfields Project, the Preston County Development Authority funded an environmental assessment of the maintenance facility, or “shops” property in 2010. In fall 2011, neighborhoods raised concerns about the stability of the historic wooden water tower and other safety issues. They requested that Kingwood City Council take action and condemn the property. Condemnation would prevent FOC from utilizing Federal grant funds to purchase the property. 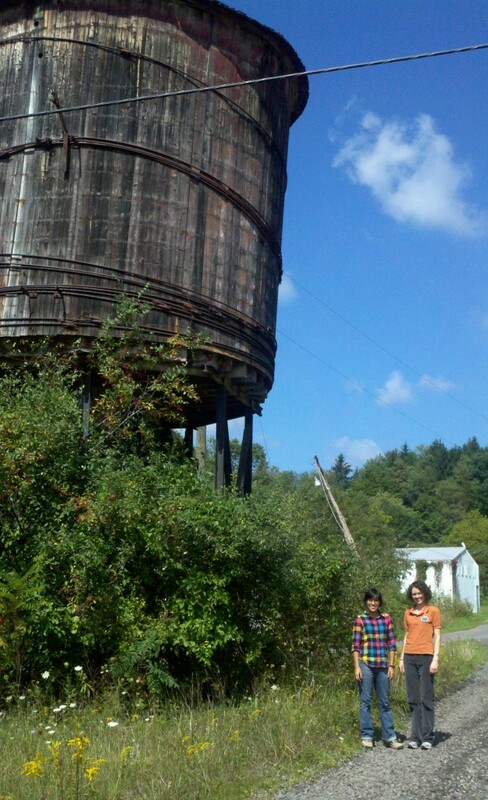 In an effort to demonstrate FOC’s commitment to the rail-trail project, FOC nominated the historic wooden water tower to Preservation Alliance WV’s 2012 List of Endangered Properties and applied for the FOCUS grant. 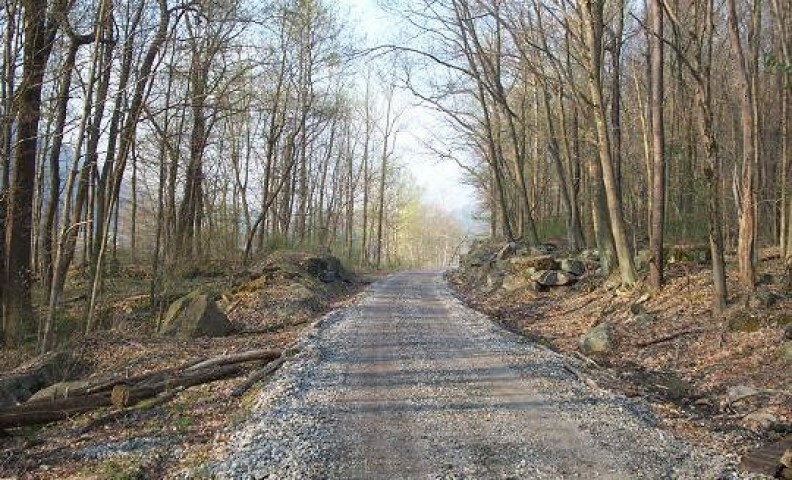 Both actions have brought new life to the project, and FOC is hopeful that its pending Recreational Trails grant application for the corridor purchase will be funded. In July 2012, FOC will facilitate two community visioning sessions in an effort to develop of a re-use plan for properties associated with the former WV Northern/Kern Valley Railroad Maintenance Facility. The first session will be held Monday, July 9th starting at 7pm at the Preston Community Arts Center on South Price Street in Kingwood. The meeting will begin with a presentation outlining the current state of the properties, including identifying assets and liabilities, followed by a brainstorming session on community need and re-use ideas. The second session will be held Thursday, July 26th starting at 7pm at the WVU Extension Office on West Court Street in Kingwood. The meeting will begin with a summary of the first session. 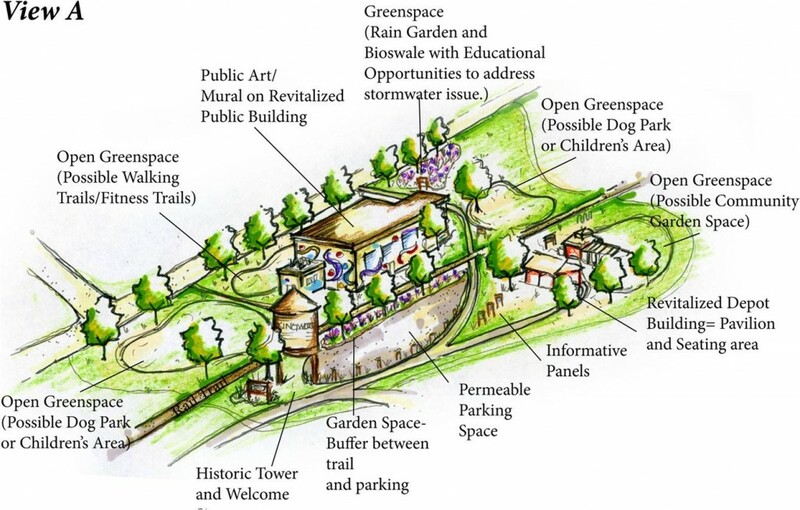 FOC will present information compiled from the first meeting including a preliminary site plan in sketch form for feedback and additional brainstorming. The vision sessions are open meetings and all community members are encouraged to participate in both meetings. Current ideas for the site include a trail head for the future Kingwood to Tunnelton rail-trail, restoring the historic wooden water tower, dog park, open-air farmer’s market, community garden, and incorporating historic railroad elements into a public park type setting. Mary Luckini will be working with FOC staff to host the meetings and visualize the plan. Mary worked with FOC back in 2008 to develop the initial drawings of the Doug Ferris Outdoor Classroom and Eloise Morgan Milne pavilion. She also worked with FOC E.D. Amanda Pitzer on service-learning projects and environmental art, including the Friends of Deckers Creek Outdoor Learning Park along the Deckers Creek rail-trail. Additional technical assistance during the workshops will be provided by Triad staff. 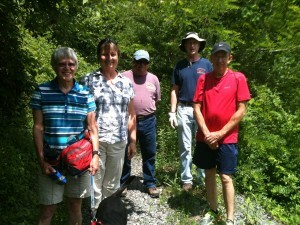 The Preston Rail-Trail Committee has been organizing Preston Rambles group hikes and bikes to promote health and wellness and build community support for the rail-trail projects. Like their new Facebook Page and stay informed of upcoming events including the opportunity to explore the former West Virginia Northern Railroad on foot.